Colonial First State is gearing up to launch a new cash management service for SMSF professionals and trustees. The product will be available on FirstWrap Plus investment accounts from 1 July, and will be powered by Commonwealth Bank’s Accelerator Cash Account. According to Colonial First State general manager, products and investments, Peter Chun, the FirstWrap cash management service was developed in response to feedback from the professional advice community. "Advisers said they wanted a better way to manage their clients’ cash flow; we listened and involved them in the design of our solution," he said. 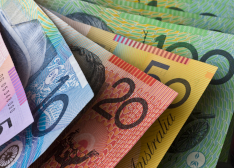 "FirstWrap’s new cash solution allows advisers to manage clients’ SMSF and cash flow in one place. Advisers can facilitate quicker investment decisions by having a consolidated view of all their clients’ transactions and available cash. "Clients can also have access to their IDPS cash account via ATMs, chequebooks, online banking or throughout Commonwealth Bank’s extensive branch network," he said.